50% of this colt is sold and the remainder of him is available to purchase either in 25% legs or the 50% wholly. 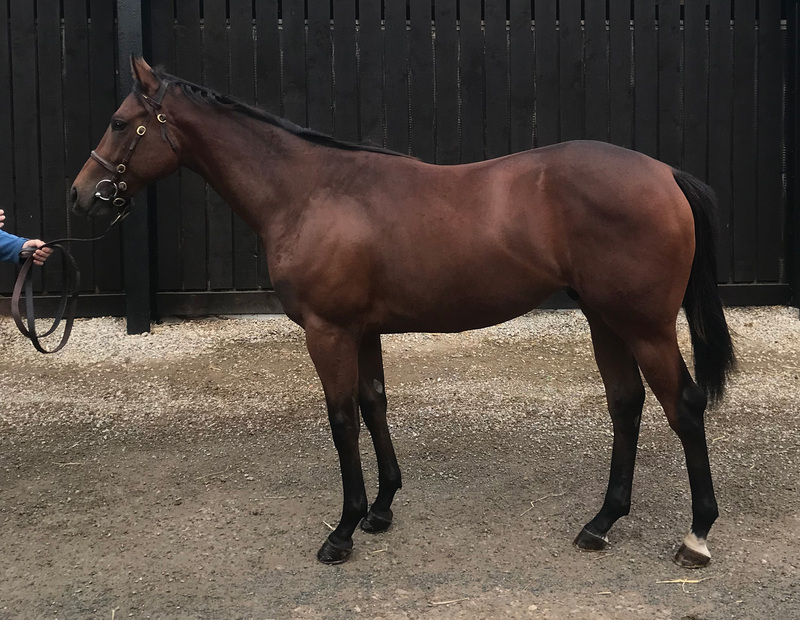 We purchased this colt’s full sister at the breeze-up sales earlier this year and in the early part of the season she was a filly we were getting particularly excited about. That filly is named Skeetah and on her debut at Nottingham she was just touched off. I was fairly sure that she was a Stakes class two-year-old. However, an injury shortly afterwards completely scuppered my summer plans for her. Therefore when this colt appeared at the Goffs UK yearling sales I had to have him. If he is as talented as his sister I have no doubt that in time his purchase cost will look relatively cheap. This horse is scopier than his older sister is every bit as powerful. His dam, Skylla, was a very smart two-year-old. I remember this only too well as she slammed a smart filly of mine Duchess Dora in a Haydock nursery on just her third start. I am hoping that this colt can follow in the footsteps of her.